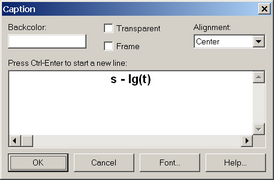 In the "Matching parameters" dialog box assumed flow equation parameters are specified for solving direct problem and consequent visual comparison of observed and calculated curve. For each conceptual scheme a certain set of parameters is specified. 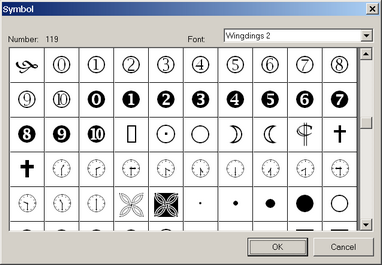 For some schemes which analysis can be made by several solutions there is a possibility to choose one. The latter provides the opportunity to analyze and compare calculated drawdown values obtained from different solutions. 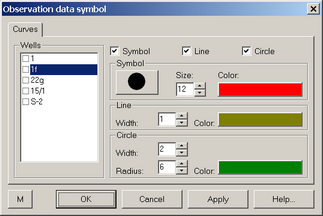 The dialog box is launched from the main menu "Analysis > Direct solution", function key F7 or by right-mouse click in the lower left corner of the plot field. "Matching parameters" dialog boxes: examples . Open dialog box "Data correction"
Number of terms used in the stehfest algorithm. this must be an even number the value of which depends upon computer precision (8). (if the computer holds 16 significant figures in double precision let NS = 8 to 12. ).